It can be frustrating to have a high value asset such as a vehicle simple sitting at home without being used. But this is the situation that millions find themselves in each year when their vehicle becomes inoperable. Fortunately, there are many salvage yards that will happily take that old vehicle of their hands. 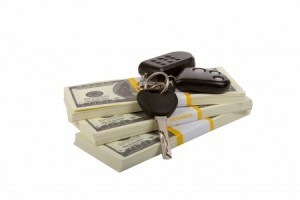 But first, it’s important to analyze how the vehicle owner can achieve full value for their asset. Here, we’ll go through several of the steps that ensure peak value is achieved for scrap vehicles. Owners should first review their old vehicle and see if there are any parts that can be sold “as is”. For example, many Canadian drivers will have just installed those costly winter tires on their car when they were last on the road in the vehicle. These tires could still hold value for other drivers. And so owners might wish to consider removing the vehicle’s tires before it’s taken to the salvage yard. Some salvage companies might be able to help in the parts removal process for an additional fee. The amount received by the owner for their vehicle can vary greatly depending on the type of scrap yard they choose to use. For example, some scrap yards pay a flat rate for scrapping any vehicle, while others will pay more depending on the quality of the vehicle and the type of materials included. Owners should review the scrap yards in their area and find companies that will meet their specific asking price for the vehicle. There’s nothing worse than agreeing that great deal with a salvage yard for a vehicle only to discover the proper documentation for the vehicle has been lost. While most ownership documents are now on record with various governmental authorities, vehicle owners can reduce the time their vehicle transaction takes by preparing all documentation well in advance. By analyzing the true value of their current vehicle and its components, and working directly with local scrapyards, car owners can ensure they achieve an above-market price. To learn more about the sales process, contact our in-house technical staff today. Proactive owners can achieve a high return for their investment in market research.